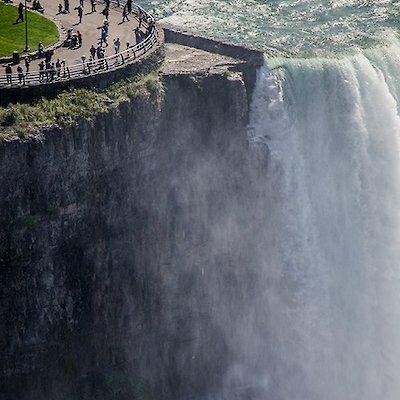 People take extraordinary photos of Niagara Falls every day and share them with us. Now we're sharing them with you. These are our top pics for September 2012! 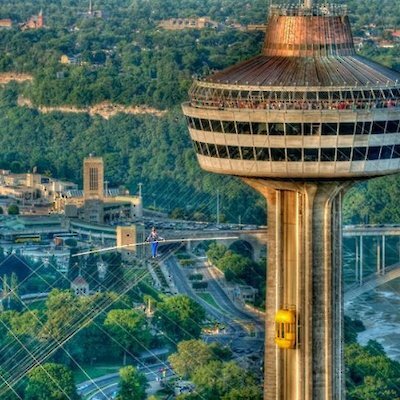 This picture of Jay Cochrane walking from the Skylon Tower to the Hilton Hotel is spectacular. Notice the grid of wire that has been strategically placed in order to support this daily event that took place from June to the end of September 2012. An extraordinary photo taken of an extraordinary event. This picture is a total win! This photo has to be the best photo I've ever seen of the Journey Behind the Falls. 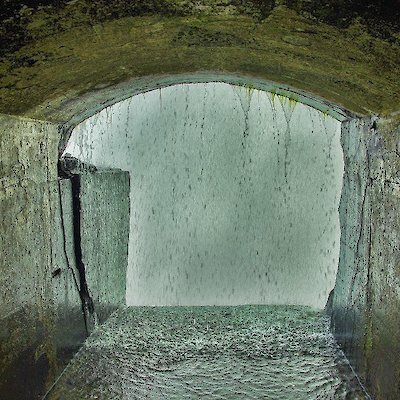 Let's face it, before you get to the observatory, you are walking through a long tunnel with openings such as this giving you behind the scenes glimpses of the the Horseshoe Falls. It is often quite hard with all the wetness and subdued lighting to get such a detailed picture. Kudos Bill this is another absolute win! 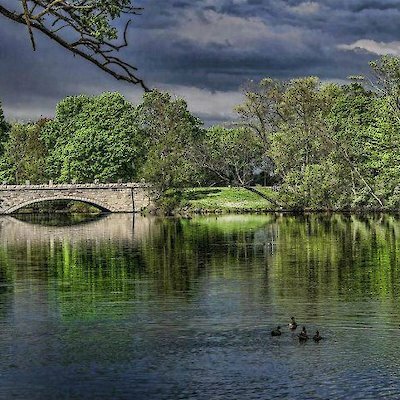 Next shot is of Dufferin Islands by Debbie Watson, often overlooked this tranquil park is serenely beautiful no matter what the season. Love the summer colours in this photo the pop of the yellow against the beautiful turquoise blue is what makes this photo. Great eye Jen, you are our number 5 pick for the month! Stay tuned for October pics!